Sit down on a flat bench with one dumbbell in front of you between your legs. Your legs should be spread with your knees bent and feet on the floor. Use your right arm to pick the dumbbell up. Place the back of your right upper arm on the top of your inner right thigh. Rotate the palm of your hand until it is facing forward away from your thigh. Tip: Your arm should be extended and the dumbbell should be above the floor. This will be your starting position. While holding the upper arm stationary, curl the weights forward while contracting the biceps as you breathe out. Only the forearms should move. Continue the movement until your biceps are fully contracted and the dumbbells are at shoulder level. Tip: At the top of the movement make sure that the little finger of your arm is higher than your thumb. This guarantees a good contraction. Hold the contracted position for a second as you squeeze the biceps. Slowly begin to bring the dumbbells back to starting position as your breathe in. Caution: Avoid swinging motions at any time. Repeat for the recommended amount of repetitions. Then repeat the movement with the left arm. Variations: This exercise can be performed standing with the torso bent forward and the arm in front of you. In this case, no leg support is used for the back of your arm so you will need to make extra effort to ensure no movement of the upper arm. This is a more challenging version of the exercise and is not recommended for people with lower back issues. Anuj has been the best trainer that I have hired till date, I have taken help from many trainers in the past with minimal or no result however with Anuj, I have had a different experience altogether. He is pretty knowledgeable, gives you honest & right suggestions and keeps you motivated in order to achieve the overall fitness goal. His workout & diet plan for me helped me in losing close to 7 kgs within a month. I would highly recommend people struggling with their fitness to at least have a word with him and see how it goes. I'm sure with his guidance and support you can definitely achieve your fitness goals. .. I finally took the plunge about 6 months back and the skeptic in me decided to get a personal fitness trainer through an app called Urban Clap. Of all the potential trainers that I received calls from, Anuj sounded the most professional and aware. Still a little hesitant, i decided to meet him to chalk out a plan and do some expectation setting. He came across very confident, courteous and passionate about his craft; someone who was extremely well-informed and knew exactly what he was talking about! There's always science and logic behind his explanations; be it the exercises or nutrition which for me makes him that much more reliable and his instructions that much easier to follow. Now after 6 months, in spite of a few misses on my part in the form of a sudden illness and sometimes sheer inconsistency and a lack of will, I've managed to shed about 14 kilos! Always ready to guide & motivate and also be strict wherever needed, whether it was training physically with him or simply following his carefully designed diet and exercise plans remotely, he has invariably been a great support. Here's wishing Anuj and SPT lots of success in the days to come! Cheers!! .. I was very hesitant to hire a personal trainer, but after a few workouts I knew I was ready to commit. Workouts with my SixPackTummy trainerAnuj are never boring, and there are always new exciting exercises. It has only been three months now and I am in better shape than I have ever been, and I consistently have more energy. I have lost weight, gained muscle, and increased my endurance. I have also been able to increase my flexibility and improve my balance. Anuj is excellent at providing a full body workout, and at explaining the benefits of each exercise. ..
Note- The article just lays down the properties of sprouts. For successful fat loss or muscle, you will need to align your calorie intake with your goal. 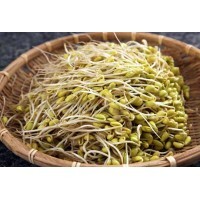 Sprouts are one of the healthiest food items out there. Sixpacktummy is an online venture that was founded by Anuj Tyagi in 2016. Our motto is to create an awareness and impart knowledge about General Health and Fitness. We provide online consultancy wherein our Experts help clients to bring a positive change in their health and lifestyle.